Dee Ernst was born and raised in New Jersey, which explains a great deal about her attitude towards life. She loved reading at a very early age, and by the time she was ten she had decided to become a writer. It took a bit longer than she expected.She went off to college, moved around a bit, had a job or two, a husband or two, and a daughter or two. It was the birth of her second daughter at the age of forty that got her thinking about what to do with the rest of her life. That was when she decided to give writing a real shot. Since her first girl crush was Nancy Drew, and her first adult fiction book was written by Rex Stout, mystery was her first love. When she decided it was time to break away from rom-coms, cozy mysteries was the natural place to go. The Mt. 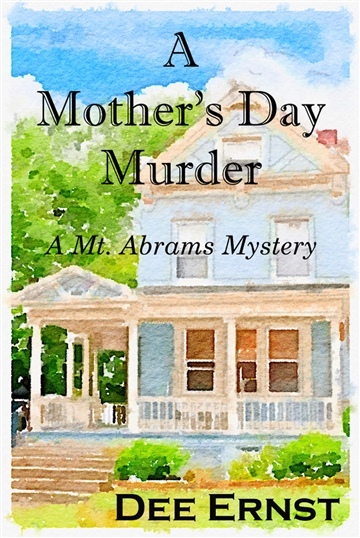 Abrams Mysteries are a series of six novellas, featuring Ellie Rocca, free-lance editor and part-time detective. Dee lives in New Jersey with husband #2, daughter #2, a few cats and a needy cocker spaniel. She loves sunsets, long walks on the beach, and a really cold martini.